Tommee Tippee Bottle & Pouch Warmer Just $29.98! Down From $60! PLUS FREE Shipping! You are here: Home / Great Deals / Amazon Deals / Tommee Tippee Bottle & Pouch Warmer Just $29.98! Down From $60! PLUS FREE Shipping! Calling all Amazon Prime Members! At Amazon, you can score Tommee Tippee Bottle & Pouch Warmer for just $29.98 down from $59.99 PLUS FREE shipping! Tommee Tippee’s new Pump and Go system uses a single pouch to pump, store, warm and feed. By removing the need to decant, life will be much easier for moms who express and guarantee you’ll never lose a precious drop. 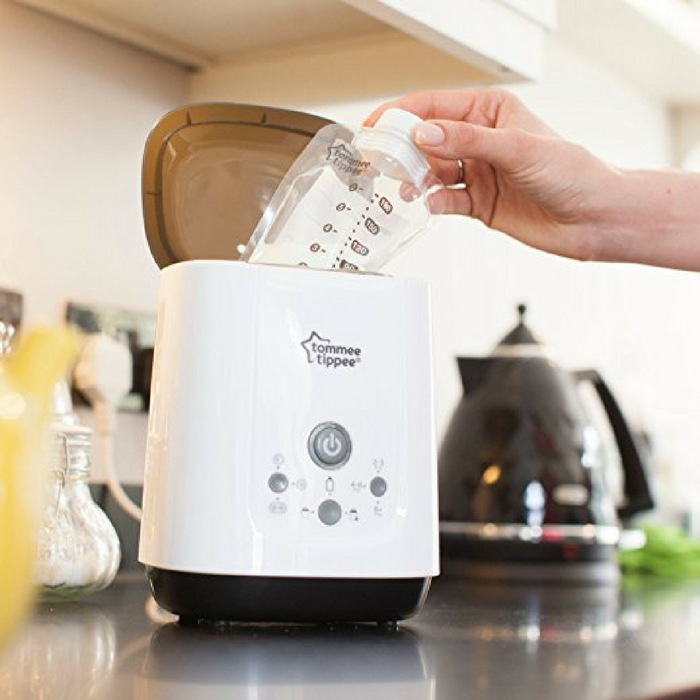 It heats milk and is the perfect fit for Pump and Go pouches, warming gently for the perfect feed every time.